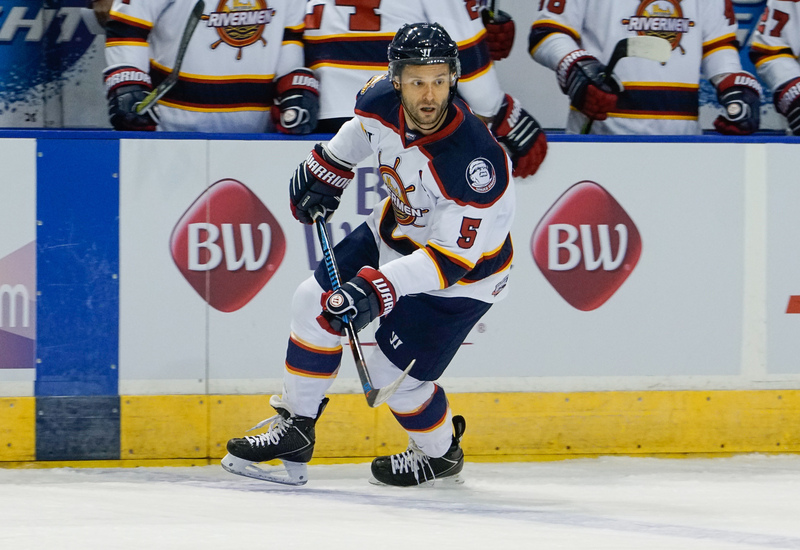 HUNTERSVILLE, NC (April 16, 2018) – The Southern Professional Hockey League (SPHL) on Monday announced that Dave Pszenyczny of the Peoria Rivermen has been selected as the SPHL Defenseman of the Year in a vote of league coaches, general managers and media representatives. Huntsville’s Stuart Stefan and Macon’s Daniel Gentzler finished tied for second in the balloting. Pszenyczny led SPHL defensemen in points (50), assists (43), power play assists (13), game-winning goals (three - tied) and penalty minutes (134). His 43 assists and 50 points are both fourth-most by a defenseman in a season in SPHL history. Pszenyczny also finished second (tied) among blueliners with a +24 rating. The SPHL will announce its Rookie of the Year on Tuesday.